It has been said that all delusions by their very nature are bizarre (Ellis & Lewis, 2001). However, perhaps none are more bizarre than the delusional misidentification syndrome known as Capgras syndrome (CS), the belief that significant others are no longer who they say they are, and they have been replaced by impostors or doubles (Ellis & Lewis, 2001). Psychoanalytic theories had first attempted to explain CS as a result of inappropriate feelings for a significant other being projected onto an impostor (Edelstyn & Oyebode, 1999). Ellis and Young (1990) have since explained CS as a result of damage to the brain’s dorsal limbic pathway, which they suggest provides emotional information about recognised faces. Breen et al. (2000) have revised this theory, casting doubt on the dorsal limbic structure’s ability for face recognition; instead they suggest that the amygdala, located in the brain’s ventral limbic pathway, is responsible for attaching the emotional significance to a face. They instead explain CS as dissociation between overtly recognisinga face and having no corresponding emotional information about that face. CS is a very rare disorder, but Edelstyn and Oyebode (1999) have suggested that the prevalence of CS is of more than simply academic interest. CS has featured heavily in fiction, and particularly in American cinema (Taylor, 2005). Invasion of the Body Snatchers (1956, 1978), The Stepford Wives (1975, 2004), The Faculty (1998) and Disturbing Behaviour (1998) are a few examples of American films and novels that heavily feature the presentation of CS, or the ‘Capgras motif’ as it is known to film critics (Taylor, 2005). The fact that the majority of these films have been remade over and over, almost a new version for each decade, is surely a testament to the popularity of the ‘Capgras motif’ in modern fiction (Taylor, 2005). Originally these films reflected a society anxious about the identity of others, fuelled by an era of McCarthyism and the ‘red scare’ in the 1950s (Bertrand, 1991). This has had a lasting effect on American fiction, and CS has been exploited in a wave of cold war, post-Watergate and more recently post-9/11 conspiracy films. Such films present the CS patient as increasingly paranoid and isolated but ultimately right in their belief that their loved ones are being replaced by impostors with ulterior motives. Entertaining as these films may be, they provide little insight into the reality and actual nature of CS (Taylor, 2005). 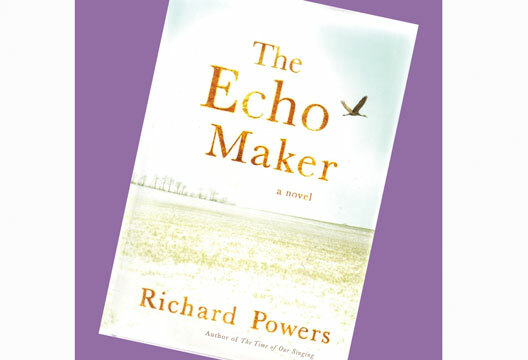 For a fictional portrayal of CS that offers a deeper insight into the syndrome, we can look to The Echo Maker by Richard Powers (2006). The Echo Maker has been described by Gennero (2006) as a ‘neurological novel’. These novels typically use scientific profiles of brain activity as a starting point for reflections on the vanishing role of human agency in the role of identity, something that is discussed throughout The Echo Maker. The novel attempts to provide a holistic depiction of CS, using the latest psychological theories but also portraying the human experience of CS. put forward by Dr Weber is that Mark’s CS may be a result of his having inappropriate Freudian feelings for his sister Karin: ‘I can’t be feeling lust for my sister, ergo she’s not my sister’ (p.168). This bears the hallmark of a psychoanalytic explanation whereby inappropriate feelings for a significant other are projected onto the impostor (Edelstyn & Oyebode, 1999). However, this theory is discounted in favour of a neurological explanation: ‘Both the amygdala and inferotemporal cortex [remain]intact, but [there is] a possible interruption of the connection between them’ (p.166). Therefore, damage to Mark’s ventral limbic pathway meant that whilst he was able to recognise familiar faces, like his sister’s, he was unable to attach any emotional significance to that face. As a result of this damage Mark can only assume that his sister has been replaced by an exact double, to which he feels no emotional connection. Dr Weber also incorporates psychoanalytic theory into this explanation: ‘Whatever lesions he [Mark] has suffered, he’s also producing psychodynamic responses to trauma’ (p.167). Indeed it has been suggested that brain injuries can release psychodynamic phenomena in the form of CS symptoms (Edelstyn & Oyebode, 1999). It is interesting that The Echo Maker attempts to include depth and detail in its explanation of CS, in accordance with the latest psychological and neuropsychological theories. The Echo Maker also attempts to provide its own narrative commentary on the relationship between the scientific study of CS and the public fascination with it. Researchers (e.g. Gennero, 2006), have suggested that in The Echo Maker Powers displays a sense of optimism that we are living in an age where scientists, such as Dr Weber, can finally reveal the mysteries of the mind. However, on a closer review one can see that Powers, with less optimism than previously suggested, also considers the more negative effects of revealing these mysteries. This is where The Echo Maker departs from the typical neurological novel format (Gennero, 2006). The novel criticises the ‘bastardised’ way, or debased fashion in which science can sometimes reach us through crude examples (p.527). The novel suggests that many of the clinical cases reported in scientific journals from which we draw our knowledge of CS are themselves works of fiction: ‘combined biographical accounts to bring out the disorder’s most salient features’ (p.236). It suggests that scientific accounts of CS also have their weaknesses as they are ‘Cold, functionalist, opportunistic. Not interested in people at all’ (p.419). This may be a narrative attempt to defend the novel’s own efficacy as a source of information about CS. However, it may be a reference to the way that psychological theories of CS have neglected the human experience behind the syndrome. The reader certainly gets the sense that these criticisms are being directed at the novel’s embodiment of neurocognitive literature; the character of Dr Weber. The novel’s characterisation of Dr Weber goes beyond the typical ‘neuro-hero’ (Gennero, 2006), interacting with patients in order to probe the darkest secrets of consciousness for the good of science. In fact Dr Weber’s desire to use Mark as a pathfinder for scientific research seems to far outweigh his compassion for Mark as an individual suffering with a rare and upsetting syndrome. Perhaps Powers is suggesting that researchers use a more qualitative approach to studying CS. It could be argued that in their attempt to provide an aetiology of CS, researchers have neglected the personal and emotional experience at the heart of the syndrome. Scientific accounts may provide an accurate model for the syndrome, but they often neglect the psychological and human responses to it. Case studies go into great depth about personal histories, but their validity is often compromised by their narrative impulse (Herman & Vervaeck, 2009). Perhaps fiction can aid our understanding of CS, as it provides an insight into the human experience of CS, as well as examples of how CS is viewed and constructed in popular culture. A recurring theme of The Echo Maker is the effect that CS has on not just the patient Mark Schluter but also all those around him. Mark’s CS makes other people question their own identity and the identity of the surrounding world. Karin feels anxious about her own identity and begins to take on the identity of the impostor, exclaiming: ‘I’m not her [Mark’s sister]. I’m just a simulation’ (p.368), and ‘He [Mark] says I am an impostor, he’s right’ (p.14). The doctor treating Mark also begins to feel anxious about his identity: ‘…he [Dr Weber] could no longer imagine what it was like to be Gerald Weber’ (p.381) and ‘The world had no place left, real or imagined, where he [Dr Weber] might put down’ (p.330). This notion is summed up towards the end of the novel: ‘Mark Schluter had gradually dismantled his [Dr Weber’s] most basic sense of acquaintance and nothing would ever seem familiar or linked again’ (p.450). All of the main characters seem to suffer from a profound dislocation between ‘who’ they believe themselves to be and their actual lives (Gennero, 2006). In the final pages of The Echo Maker Dr Weber considers writing up the ‘first ever case of contagious Capgras’ (p.544). It is this concept of ‘contagious Capgras’ or ‘mimetic Capgras’ (p.420) that provides a rich discussion for readers of the novel. This relates the psychological phenomenon of folie à deux, or ‘communicated insanity’ as it has been described (Tuke, 1888). The essential feature is psychiatric illness shared between two or more close people (Hageman & Jørgensen, 2009). In this case it is not that Karin and Dr Weber are literally infected by Mark’s CS, but rather that in their attempt to help Mark they adopt his symptoms and inherit his view of an unfamiliar and alien world (Herman & Vervaeck, 2009). This type of potential effect on significant others is a feature often neglected in scientific research: even case studies tend to focus solely on the individual. In The Echo Maker Capgras syndrome is intertwined with the concept of identity. A running theme seems to be anxiety and paranoia about losing control of one’s own identity, as a result of losing familiarity to significant others. This suggests that identity is not created by the individual in isolation, but also by the sense of connection and familiarity we feel with others. This is true of The Echo Maker because the longer Mark suffers from CS the more he begins to question his identity and the reality of the world around him. Perhaps Mark’s search for truth and identity and the searches he inspires in Karin and Dr Weber are irrelevant? There is a sense that the created fictions that Mark displays go beyond a neuroanatomical disorder; they are an essential part of the human condition, and they are all we have (Gennero, 2006). When reading of these blurred lines between fiction and reality the reader realises what Dr Weber had affirmed long ago, during his extensive study of illnesses like CS – there is no self without self-delusion. To conclude, scientific research often isolates the individual from the experience of CS. Ironically, psychological theories of CS that are concerned with the loss of affective processing may, in their accounts, isolate this very phenomenon from the person. Perhaps fictional portrayals can realign the individual and human experience with the phenomena of CS. This is the true value of The Echo Maker’s portrayal of CS; it provides a more human account of the syndrome, seeing it not simply as a neuroanatomical feature but as a deeply emotional experience, affecting the very core of our identity. Bertrand, I. (1991). ‘Goodbye Mr Red’: Paranoia and film culture after the Second World War. Journal of Australian Studies, 15, 29–39. Breen, N., Caine, D. & Coltheart, M. (2000). Models of face recognition and delusional misidentification: A critical review. Cognitive Neuropsychology, 17, 55–71. Edelstyn, N.J.M. & Oyebode, F. (1999). A review of the phenomenology and cognitive neuropsychological origin of Capgras syndrome. National Journal of Geriatric Psychiatry, 14, 48–59. Ellis, H.D. & Lewis, M.B. (2001). Capgras delusion: A window on the face of recognition. Trends in Cognitive Sciences, 5, 149–156. Ellis, H.D. & Young, A. (1990). Accounting for delusional misidentifications. British Journal of Psychiatry, 157, 239–248. Herman, L. & Vervaeck, B. (2009). Capturing Capgras: The Echo Maker by Richard Powers. Style, 43, 407–428. Powers, R. (2006). The Echo Maker. London: Vintage Books. Taylor, H.M. (2005). The Capgras syndrome in film. Cinescope- Independent Film Journal, 2, 1–9.